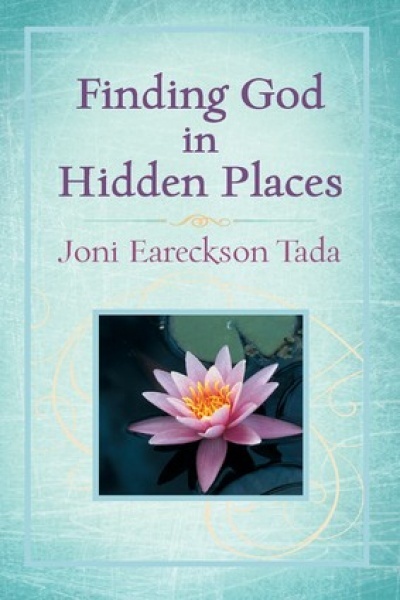 Bestselling author and artist Joni Eareckson Tada invites readers to join her on a deeply personal journey as she explores the presence of a holy God in hidden places. Stories from Jonis life shine in this collection of gathered memories. Readers will recall quiet, out-of-the-way moments in their own lives when God was present―both in happy and sad times. Words of encouragement, comfort, and insight leave the soul satisfied and longing to be closer to a loving Father, who often shows up when least expected. Finding God in Hidden Places is the perfect size for bedtime reading or taking along for daytime moments of rest and reflection.